Used 2004 Chevrolet Corvette Convertible for Sale in Mt. 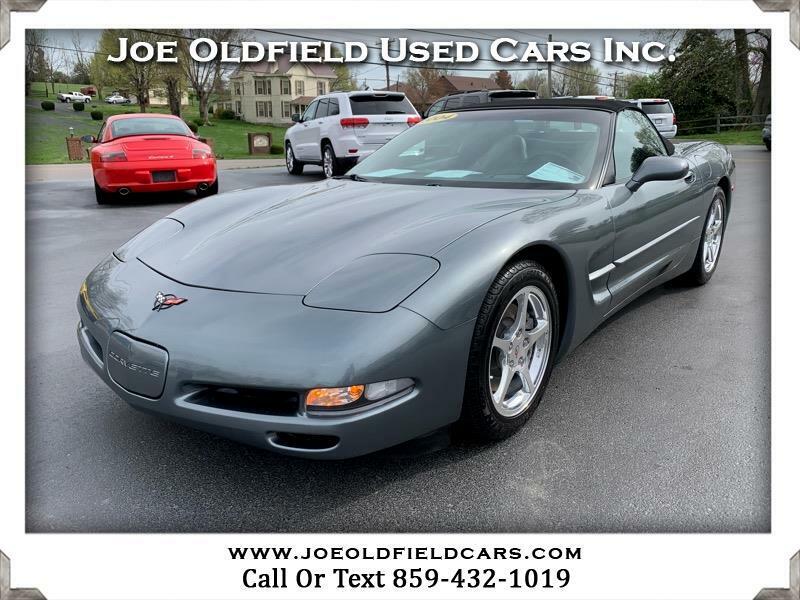 Sterling KY 40353 Joe Oldfield Used Cars Inc.
NICE AND CLEAN 2004 CORVETTE CONVERTIBLE! CLEAN CARFAX REPORT! THIS CORVETTE COMES WITH SOME NICE FEATURES LIKE BOSE STEREO, HEADS-UP DISPLAY, SELECTIVE RIDE CONTROL, 5.7L V8 ENGINE, CORSA EXHAUST, K&N COLD AIR INTAKE, LIKE NEW TIRES AND MORE! PLEASE CALL FOR MORE INFORMATION OR STOP BY TO TEST DRIVE!